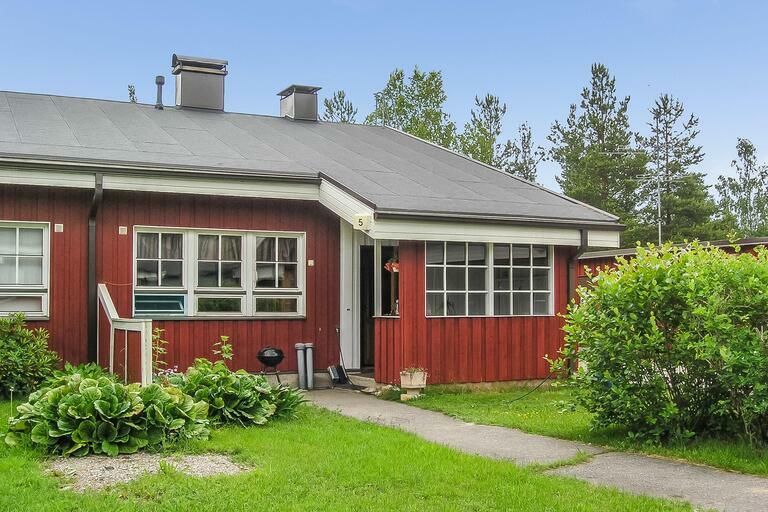 In 1990 built / 2015 renovated, nice row house apartment in Vuokatti. Surface area 54 m² with a loft. 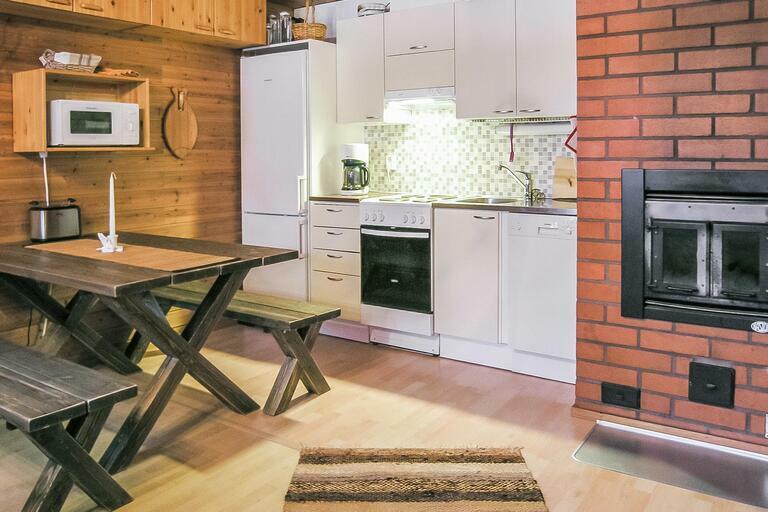 Kitchen/living room with sofa bed, fireplace, sauna (electric stove), shower, drying room, a separate toilet. Steep stairs to loft, child safety gate at the top of the stairs. 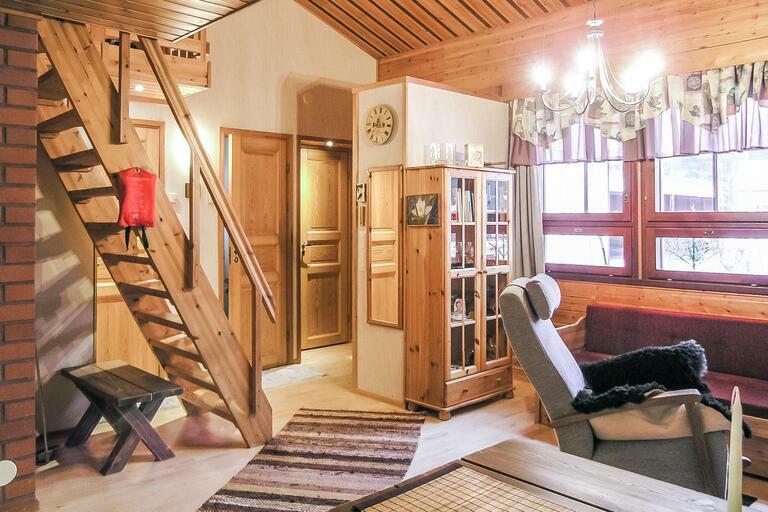 Beds for 2 and in a small loft / sleeping alcove is mattress for 1-2 persons. The porch, barbecue. 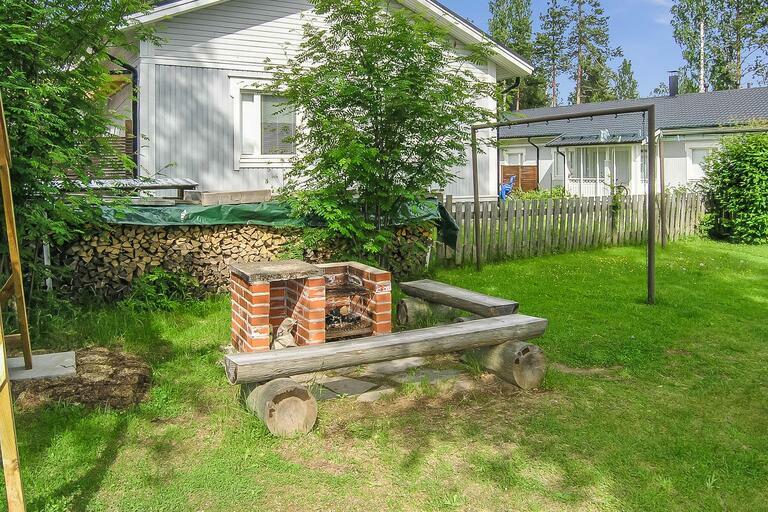 On the yard there is a shared barbecue area and a swing (behind the house). Sotkamo 7 km, Vuokatti ski slope 1.5 km, Holiday Club Katinkulta spa / golf 2 km. Suoerpark Activity Park 0.5 km. Nearest swimming beach 1.5 km (Katinkulta). Accommodation is available on the same day at 16 o'clock from the starting date until 12, even on a weekends. Pets not allowed. Bed linen for 5 person and final cleaning includes in the price. 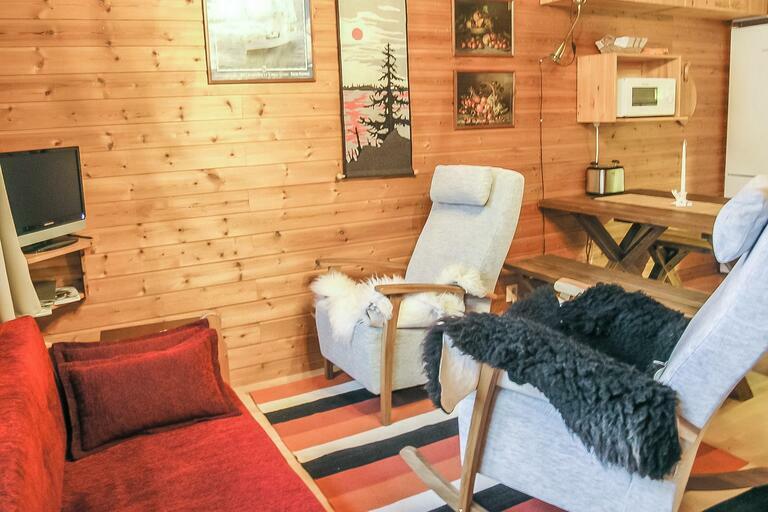 Note: firewood are not included in the rental price.